Book Purchase Vouchers no longer need to be requested. All students are eligible for a Book Purchase Voucher. Book Purchase Vouchers will be issued to all students who register for an upcoming semester and you will be notified via your Methodist College Student email when your voucher is ready for use. Their use is optional. Book Purchase Vouchers are not a form of Financial Aid. Rather, Book Purchase Vouchers allow a student to charge his/her books to their CAMS Student Ledger and pay for the books later. In some cases this can be helpful to students because rather than paying for books out of pocket weeks before the semester begins, you may wait and pay for your books when you pay tuition and fees according to Methodist College Billing Policies and Tuition Due dates. 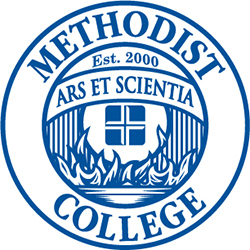 For the Spring 2019 term Methodist College will offer a trial period of giving students the opportunity to charge two sets of scrubs along with required medical equipment to their student account. If the trial period goes well, we will continue to offer this opportunity to the students in the following terms. By charging these items to his/her account the student is accepting the charges and is expected to pay them as if they were any other tuition and fee on his/her account. That means that deferment and late fees will apply. It also means that a hold can be placed on the account preventing registration for the upcoming term if payment terms are not being met.